You have found the Royal Caribbean Cruise Discount Promotion page. This is where you get to review current cruise offers from Royal Caribbean International. In addition, you will have a chance to check out a quick YouTube video of this cruise line and also review some last minute Royal Caribbean cruise deals. Watch the following YouTube video that explores one of the largest cruise ships on the high seas - Oasis of the Seas by Royal Caribbean. This is the latest offer in Royal's ongoing effort to make cruising more accessible to all. Cruise Discount Promotion: Buy one cruise ticket and get the second one at 50 percent off. In addition, a second guest will get 50 percent off a premium beverage package (Promo Code: BOGOBEV), if the first person buys one. Also, your deposit is reduced by 50 percent. Plus - If you are sailing in 2016 or 2017, the third and fourth guests will pay 50 percent of the fare. Restrictions: Cruises must be booked between 3/11/15 and 4/30/15 for travel after May 15, 2015. Staterooms must be oceanview or higher. To get 50 percent off for the third and fourth persons, all guests must be in the same cabin. Below are some available last minute Royal Caribbean cruises. 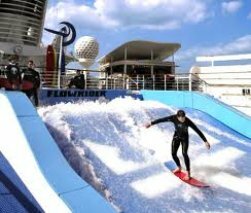 Similarly to booking a Royal Caribbean promotional sailing, when you book a last minute cruise package you generally save money on your cruise ship vacation. It is really easy to book one of Royal's discounted cruises. 2. Visit our booking page: Family Fun Getaways, find the cruise you want and book it. 3. 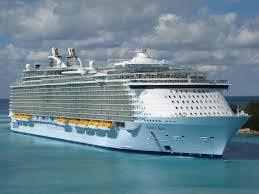 Visit Royal Caribbean's website and book the cruise there. 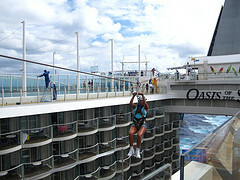 It is our hope that you have found this Royal Caribbean cruise discount promotion page helpful.